Katherine Scholes reflects on writing uncharted territory. I remember the moment when the idea for Congo Dawn was born. I was standing on the pebbly shore of Lake Tanganyika. I’d travelled there to visit Jane Goodall’s research station on the inland border of Tanzania. I was preparing to enter the jungle in search of chimpanzees. But something kept capturing my attention. On the opposite shore of the vast lake, I could see the smudged outline of distant hills. The Congo. As the name circled in my head – exotic and dangerous – my thoughts turned to a book that had always been on our family bookshelf. Missing Believed Killed was the memoir of an English nurse who was captured by Simba rebels in the Congo in 1964. She was rescued, but most of her fellow missionaries – including children – were massacred. As a child living in Africa myself, I had been haunted by her story. I wondered how something so awful could have happened. Now, standing there by the lake, I decided I would find out. 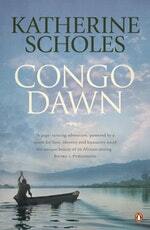 My next novel would be set in the Congo, at the time of the communist uprising. I didn’t go across to that distant shore. The Congo is a dangerous place to travel and, anyway, the world of the 1960s has now gone. I would have to recreate it through research. I would also need to understand the whole story of this country. 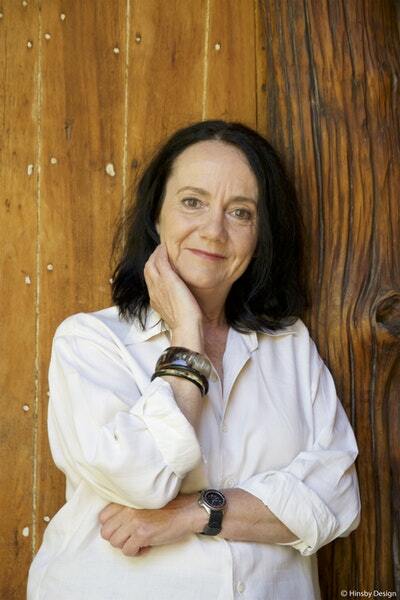 (I’d written four novels set in Tanzania, the country of my birth, but the Congo was new territory for me.) I realised it would be a huge task. I never imagined, though, quite where the journey would take me. I didn’t expect to be reading about the secret manoeuvres of the CIA, or the assassination of the first Congolese prime minister. I didn’t think I’d be having nightmares. Nor did I anticipate all the surprising places where I’d find light and beauty and laughter. As my research unfolded, I began to look at the role of the mercenary soldiers who were hired to defeat the Simbas. I thought these men would be minor characters in my novel. They would rescue my missionaries and disappear. But to my surprise I became fascinated by this mixed bunch of flawed heroes. 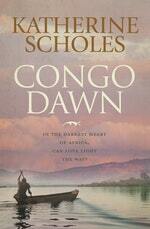 I ended up writing half of Congo Dawn from the point of view of Dan Miller, the leader of a mercenary commando unit. This was my first ever male main character. This was definitely a case of jumping in at the deep end! I had to find out about weapons, vehicles, military strategy – and that was the easy part. My real task was to enter the mind and heart of a soldier. When I’m conceiving a novel, I often begin with a place and an era – such as 1960s Congo –but I also consider issues that interest me in my own life. This time I began looking into the special relationship that exists between a father and daughter, and seeing what happens when it goes wrong. I created the character of Anna, a young secretary from Melbourne, who has grown up having no contact with her father. I gave her the chance to go to the Congo and find him – to take stock of the past, and change the future. I knew her journey would resonate with my readers, building a bridge between the exotic setting in Africa, and the familiar, everyday world. As the story grew, more topics were added to the palette – the fashion revolution of the 60s, the paintings of Picasso, Congolese masks and leprosy, to name a handful. As the personal stories became more intense, they began to mirror the conflict between good and evil, despair and hope, being played out on the wider stage. Congo Dawn is a big book. There were times when I felt as if I might be trapped forever in the tangled jungles of the Congo. But when I reached the end, I was standing back on that lakeshore, breathing easy in the open air. I knew that I’d learned something crucial about my past, as an African-born child. I’d found a way to tell a story that I really wanted to share. An unforgettable story filled with drama, conflict and deep emotion.